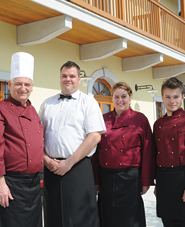 The Karst is the ultimate place to indulge in excellent cuisine. The hard, dry, red earth and the strong wind characteristic of this land give our local produce their unique and rich character. 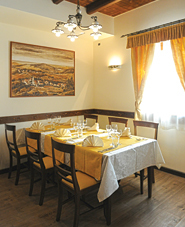 Our restaurant offers truly delicious homemade dishes. First of all, this is due to our use of seasonal, locally produced ingredients, farmed on the unique red soil. And secondly because our dishes are prepared following traditional recipes handed down from our grandmothers. 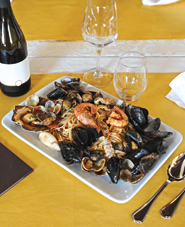 We offer a choice between typical regional dishes and Mediterranean cuisine, with specialities that include different types of meat, game and seafood.